Widely used and recommended by top stylists, Orofluido Shampoo offers users a gentle yeah thorough cleanse for all hair types. The 200ml Orofluido Shampoo cleanses delicately, conserving the hair’s structure, and leaving it light and incredibly shiny. The lightweight shampoo contains a secret combination of the finest ingredients and works to remove everyday impurities and build-up from the hair's cuticle. You can rest assured, that when using Orofluido Shampoo, your hair is purified, lightweight and left with an incredible sheen that others will notice. 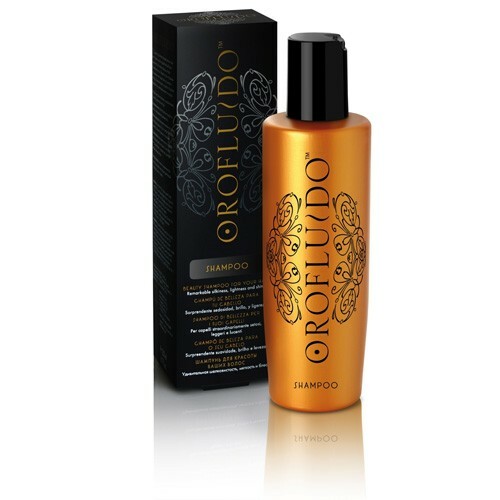 For incredible results, use the shampoo in conjunction with orofluido conditioner and Orofluido Hair Oil. Try it for yourself and see, the results genuinely are incredible!